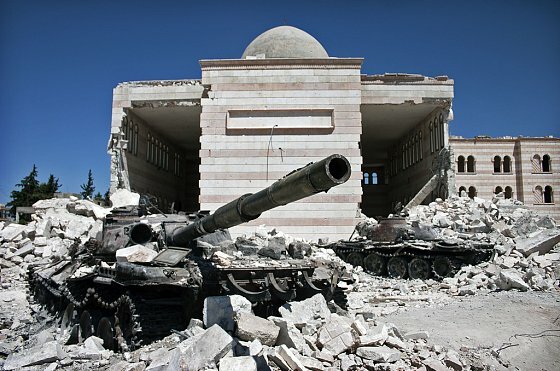 Syrian Civil War: Who controls which districts ? Syria Syrian Civil War: Who controls which districts ? In this thread, i will try to explain about the administrative divisions of Syria governorates (mouhafazat) and districts (kada2). A rudimentary calculation concludes that despite all the loses, SAA still controls more than 62% of the country while FSA and allies controls only around 6-7% of it, and the rest is either with ISIS, Kurds or contested. Sources: BBC, reddit, wikis and google search. Yes there is even more. I read somewhere (I'll try to find data), that almost 75% of the Syrian population, lives in the Syrian government controlled territory. (And I'm not sure if Kurds were counted in). Will try to look into it. Yes we know that 1.2% of the Syrian population died in this conflict, 7.6 million were driven out of their homes, 3.9 million live as refugees outside their countries 1.2 million of them in Lebanon. If trying to say that 75% live under SAA is an attempt to try to make the regime look like it has achieved something then it is a delusion, thanks to this regime that there was brutality that brew for and against the regime. 7.6 million is more than the total population of Quebec and 1.2% of the population killed is like 330,000, more than all who died during all the lebanese conflicts combined and which amounts to a little less than 1% but during a longer period of time. The Syrian conflict is the most brutal war lived since WWII when it comes to non combatants percentages affected in the conflict. do you see the opposition in france, germany, the US, britai, australia, canada, italy, spain, greece use weapons against the regime? did it ever occur to you why they don't? maybe because they get fair elections. Just maybe democracy doesn't create frustration that pushes people into violence and maybe just maybe if regimes are not violent then maybe the people will bot become violent against it and try to get power in peaceful means when these means are available to them. true, and we should use the same democracy here in lebanon and I dont mean the fake one we use now. we should use a law that has nothing to do with religions and let everyone say what he wants and vote and accept that 65% of muslims have a say that Christians might not like. Too bad it is the Christians that refuse this in Lebanon and the way they balance it is by doing deals with saudi arabia that keeps thing temporary "stable" or postpones the true democracy ... till never. Well, there is this one here, but numbers are from 2 years ago, base on the study posted in the second part below. As one of the leading French experts on Syria, Fabrice Balanche has an unusual focus. His field of study is political geography, chronicling the interplay between power, community, and territory. As an assistant professor of geography at the Université Lyon 2 and the director of its Groupe de Recherches et d’Etudes sur la Méditerranée et le Moyen-Orient, or GREMMO, he frequently appears in French media, where his early opposition to the idea that Syria could have a peaceful transition or that Syrian President Bashar al-Assad was about to fall raised some hackles. His research is increasingly finding its way into English, but most of it is in French—so francophone readers are encouraged to have a look at his recent work and to follow him on Twitter. Today, Fabrice Balanche has kindly agreed to be interviewed by Syria in Crisis to explain his methods of mapping the Syrian war and to present his views of the situation. La région alaouite et le pouvoir syrien. During this period, I lived in Syria for six years. I described the sect-based clientelism that structured Syrian society, and my conclusion was that at the time of former Syrian president Hafez al-Assad’s death in June 2000, Syria found itself in the same situation as Yugoslavia at the death of its president, Josip Broz Tito, and that it was therefore at risk of suffering the same fate. In the December 2011 edition of Outre-Terre, a French geopolitical journal, you wrote an article entitled “Géographie de la révolte syrienne.” It described a Syrian conflict predetermined by social and sectarian factors, with an armed opposition almost entirely rooted in the Sunni Arab majority population—particularly among disaffected social groups such as the rural poor—whereas minority and upper- and middle-class areas either remained passive or actively supported the president. It was one of the first comprehensive studies of the sectarian and socioeconomic dimensions of the conflict, published long before such arguments became commonplace in the media, at a time when both sides were still in complete denial about Syria’s sectarian problem. How did you arrive at these conclusions? I wasn’t surprised by the outbreak of crisis in Syria. Rather, I found it surprising that the country hadn’t exploded a few years earlier, given that its socioeconomic indicators were all in the red. There were social tensions related to poverty, territorial tension between the center and the periphery, and sectarian tension—and they all overlapped. The 1991 Infitah, or economic opening, and the accelerated liberalizing reforms under President Bashar al-Assad created a social inequality that proved impossible to manage for Syria’s rigid bureaucracy, while simultaneously increasing sectarian frustrations, notably against the Alawites. The old Baathist system had by then been exhausted. Syria’s economy was in urgent need of some breathing space, but the young president could not turn Syria into a “tiger economy.” It would have challenged the entire system of power that had been methodically constructed by his father. We therefore moved into a civil war that would quickly shatter Syria’s fragile sectarian coexistence, which had in the preceding years relied more and more on repression and less and less on the redistribution of Syria’s national wealth. But why didn’t the mainstream media and political debate in the West pick up on these problems until much later? The media refused to see the Syrian revolt as anything other than the continuation of revolutions in Tunisia and Egypt, at a time of enthusiasm over the Arab Spring. Journalists didn’t understand the sectarian subtleties in Syria, or perhaps they didn’t want to understand; I was censored many times. Syrian intellectuals in the opposition, many of whom had been in exile for decades, had a discourse similar to that of the Iraqi opposition during the U.S. invasion of 2003. Some of them honestly confused their own hopes for a nonsectarian society with reality, but others—such as the Muslim Brotherhood—tried to obfuscate reality in order to gain the support of Western countries. Was the Syrian conflict influenced by sectarianism from the beginning or did the sectarian issues emerge later? From the beginning, the Syrian conflict was sectarian, social, and political. These three factors were interrelated, because sectarian divides are everywhere in Syria. The revolt started in an attempt to get rid of Assad, the state bureaucracy, the Baath Party, the intelligence services, and the general staff of the Syrian Arab Army. But all of these bodies are packed with Alawites, over 90 percent of whom work for the state. You could follow the sectarian patterns across the map. In mixed Alawite-Sunni areas, the protests only took place in the Sunni areas. In Latakia, Banias, and Homs, the demonstrators clashed with Alawite counterdemonstrators. This pro-Assad mobilization was not simply organized by the government. Rather, it was part of the phenomenon of urban asabiyya (communal solidarity) that has been so well described by Michel Seurat in the case of Tripoli. In the Daraa Province, the population is almost exclusively Sunni and the demonstrations naturally spread—but they stopped right at the border of the Druze-populated Sweida Province, which did not sympathize with them at all. In Aleppo, the divisions were mainly social, between the well-to-do and poorer people, and between indigenous city dwellers and new arrivals from the countryside who lived in the slums. But the sectarian factor was present in Aleppo too, with Christians remaining staunchly pro-regime and the Kurds playing their own game, as we have seen with the autonomous cantons in Afrin, Ein al-Arab (Kobane), and Qamishli. In the end, sectarianism began to overshadow the other parameters of the Syrian crisis. In the October 2013 issue of the French online journal OrientXXI, you published an essay on how the divided political space of Syria is being represented on maps: “L’insurrection syrienne et la guerre des cartes.” There, you provided rough estimates for the share of Syria’s territory and population held by each of the major politico-military camps. At the time, you had calculated that 50–60 percent of the population inside Syria—but somewhat less of the physical territory—remained under the control of Assad and his allies, while the various Sunni Arab insurgent groups controlled 15–20 of the population and the Kurds had perhaps 5–10 percent. The remainder consisted of people residing in contested areas. Could you please briefly explain how you arrived at these figures? From the start of my time in Syria, I was struck by the absence of reliable statistical and cartographic sources. Researchers and experts would simply extrapolate from local case studies or from generalized province-level data. So I began by giving myself the task of constructing a geographic information system based on Syrian censuses and topographic maps. Now, I have a database of population statistics in 6,000 Syrian localities, as well as neighborhood-level databases for the ten major cities. This allows me to quantify the percentage of the population that is under the control of the rebels, the Kurds, and the government, although it will be in the form of rough estimates, because we have so little information on the geographic origin of refugees and internally displaced persons. The Orient XXI figures were based on the military situation in early summer 2013 and much has happened since. Could you give us your best estimates of how much territory and population is under the control of the different parties today? First of all, there has been a great refugee exodus out of Syria. The UN refugee agency (UNHCR) currently puts the number of Syrian refugees at around 3.7 million, but we can probably add one million others who have not been listed as refugees, because they’re wealthy enough to avoid it or because they have crossed the border clandestinely. In Syria, there now remain around 18 million inhabitants who have not perished in the war or fled the country. They are distributed thus: 3–6 million in rebel-held areas, 10–13 million in government-held areas, and 1–2 million in the Kurdish region. The disparity is related to internal displacement. Internally displaced persons now number at least 6.5 million according to UNHCR, although we know that this figure is underestimated by all sides for the purpose of obtaining more humanitarian aid. The origins of refugees outside Syria is easier to determine, because they are registered by UNHCR, but it is difficult with the internally displaced. However, it seems clear that most of the population movement inside the country is headed away from insecure and impoverished rebel-held territory toward more stable and economically functioning government-controlled areas. It is easier to give a percentage figure for the amount of territory held by the different camps, but note that this doesn’t give a good understanding of military realities, because a vast rural area is less strategically relevant than the major cities or the principal axes of communication. The Syrian government currently controls around 50 percent of the territory, but it rules between 55 and 72 percent of the population left inside Syria. The rebels control 45 percent of the territory and 17–34 percent of the population, while the Kurds control no more than 5 percent of the territory with 5–10 percent of the population. Because both UNHCR reports and other data show that a large majority of refugees and internally displaced persons come from the rebel-held zones, we may refine our figures a bit and conclude that more than two-thirds of the Syrian population still left in the country resides in government-held territory and less than one-quarter in the rebel-held zone. But it is difficult to be any more exact than that. If we take a closer look at those 45 percent of Syria’s territory and 17–34 percent of the population under Sunni rebel control, we know that there are hundreds of different groups operating in these areas. Could you provide some detail on this? For example, the so-called Islamic State is now at war with most of the rest of the rebellion and it has emerged as an entirely separate fighting force. So how much of Syria does the Islamic State actually control? It is difficult to know which territories are controlled by rebel groups like Ahrar al-Sham, the Nusra Front, the Free Syrian Army (FSA), or other such factions. The Islamic State is easier, because it is the sole group in its territory. It currently controls around 30 percent of Syria’s territory, although this includes vast desert areas. The population under the Islamic State’s rule can be estimated at between 2 million and 3.5 million people, which translates into something like 10–20 percent of Syria’s current population. By adding up groups like Ahrar al-Sham, the Nusra Front, the Islam Army, and the various FSA factions, we arrive at perhaps 15 percent of the territory and between 1 million and 2.5 million people, although political control remains divided among or shared by many different groups. Again, the population density differs considerably between different areas. For example, the Islam Army controls a very small territory in the East Ghouta region outside Damascus, which represents less than 0.1 percent of Syria’s surface territory. But this area is densely inhabited and contains perhaps 350,000–500,000 people, meaning that the Islam Army controls 2–3 percent of the Syrian population. Les cartes reflètent-elles la réalité? Sont-elles une vision objective du monde, de ses divisions, de ses conflits? Rien n’est moins sûr. Elles reflètent souvent un point de vue subjectif et aussi des partis pris. Elles sont aussi un élément de la guerre de l’information, comme le prouve le conflit syrien. Devant la mosquée d'Azaz, au nord d'Alep. L’idée de ce billet m’est venue fin août dernier lorsque les États-Unis, le Royaume-Uni et la France ont menacé de bombarder la Syrie, à la suite des attaques chimiques du 21 août dans la banlieue de Damas Rébellion», «résistance», «opposition» ou «terrorisme» : comment qualifier (...)" id="nh3-1" style="color: rgb(26, 64, 161);">1. Les experts se sont alors succédé dans les médias, cartes à l’appui, pour «expliquer» cette décision. Il fallait «punir» le «régime de Damas», comme l’affirmait le président François Hollande; mais ensuite? Plusieurs militaires à la retraite mettaient en avant le fait que des «frappes» ne serviraient à rien si elles ne correspondaient pas à des objectifs stratégiques à plus long terme. S’il s’agissait de viser directement Bachar Al-Assad, considéré comme responsable des attaques chimiques, on pouvait se contenter de bombarder le palais présidentiel et des sites de commandement, comme ce fut le cas en Libye lors de l’opération «El Dorado Canyon» en mars 1986, pendant laquelle Mouammar Kadhafi et sa famille furent directement visés. Une autre option consistait à bombarder massivement les défenses de l’armée syrienne, en particulier les aéroports militaires, pour la priver de la maîtrise du ciel et donner ainsi un avantage significatif à l’insurrection. Institute for the Study of War, Elizabeth O’Bagy donna sur la chaine américaine Fox News une lecture des faits particulièrement scandaleuse. La carte qu’elle présentait à l’écran(fig. 1), pour appuyer sa démonstration, trahissait une totale mauvaise foi ou une incompétence profonde. On remarque tout d’abord que les zones contrôlées par les «rebelles» et le «régime» épousent parfaitement les limites provinciales, ce qui laisse penser que ce sont des provinces entières avec leur administration qui sont passées sous le contrôle de l’insurrection. Pour Elizabeth O’Bagy, les rebelles sont divisés en deux groupes : «modérés» et «extrémistes» : sans doute classe-t-elle parmi les «extrémistes» le Front Al-Nosra et l’État islamique d’Irak et du Levant, qui sont effectivement présents dans ces régions, mais qu’en est-il des groupes salafistes appartenant au Front islamique de Syrie (FIS)? Certes, ils ne sont pas affiliés officiellement à Al-Qaida et ne prônent qu’un djihad national, mais l’imposition de la charia et l’exclusion des minorités font intégralement partie de leur programme. Quant au Front islamique de libération de la Syrie (FILS), qui attire irrésistiblement les bataillons de l’Armée syrienne libre (ASL) depuis sa création à l’automne 2012, il est certes plus modéré que le FIS et Al-Nosra, mais son programme repose clairement sur la promotion de l’islam politique. Par ailleurs, la déclaration du 26 septembre 2013 de la part de treize groupes rebelles, dont le Liwa al-Tawid, lié à l’ASL et au FIS, affirmant rejeter la Coalition nationale syrienne et s’allier avec Al-Nosra, indique une nette tendance à la radicalisation de ces groupes «modérés» Radiographie de la rébellion syrienne», Le Temps,1er octobre (...)" id="nh3-2" style="color: rgb(26, 64, 161);">2. D’après «Elizabeth O’Bagy : On the Front Lines of Syria’s Civil War», The Wall Street Journal,30 août 2013. Plutôt que d’ouvrir des débats sans fin sur la définition de «modéré» ou d’«extrémiste» au sein des forces de l’insurrection, revenons plutôt à la carte que propose cette experte nord-américaine. Les milices kurdes du Parti de l’union démocratique (PYD) y sont intégrées dans le groupe des rebelles. Il est vrai que les zones kurdes échappent à l’armée syrienne, laquelle s’est retirée de ces zones au profit du PYD, qui peut être considéré comme un allié stratégique du régime de Bachar Al-Assad. Les affrontements réguliers entre les milices kurdes et les insurgés arabes (Alep, Ras el-Aïn, Ain el-Arab, etc.) depuis plus d’un an prouvent qu’il faut distinguer les Kurdes des «rebelles», ce qu’Elizabeth O’Bagy ne fait pas. Quant aux conclusions que l’on peut tirer de l’occupation du terrain par les rebelles «modérés» et «extrémistes», elles sont tout simplement fantaisistes. Les extrémistes occuperaient ainsi toute la province de Raqqa et seraient également très présents à la frontière turque et à la frontière irakienne. Mais il suffit de superposer une carte de la répartition de la population syrienne par localité3(fig. 2) pour constater que l’emprise territoriale des rebelles «modérés» concerne en réalité des zones très peu peuplées. Tout comme celles que tient la contre-insurrection (l’armée syrienne) du reste. Elizabeth O’Bagy souhaitait prouver que les États-Unis pouvaient s’appuyer sur une insurrection modérée et par conséquent qu’il ne fallait pas craindre les islamistes radicaux en Syrie. Mais son analyse fut rapidement contredite par l’IHS, société d’expertise britannique, qui démontra que les radicaux (FIS, Al-Nosra et État islamique d’Irak et du Levant) étaient au contraire majoritaires “ Nearly half the rebel fighters in Syria are now aligned to jihadist or (...)" id="nh3-4" style="color: rgb(26, 64, 161);">4parmi l’insurrection, ce qui rejoint les conclusions d’Aron Lund, chercheur suédois spécialisé dans ce domaine5 et dureprésentant de l’ONU à Damas qui affirmait, interrogé par Georges Malbrunot, que 58% des combattants insurgés étaient des salafistes. Une carte publiée le 17 juin 2013 dans un article du quotidien britannique The Independent, réalisée à partir des analyses d’Aron Lund, possède davantage de nuances (fig. 3). Elle ne distingue pas entre «rebelles modérés» et «rebelles extrémistes», mais les zones kurdes sont séparées de celles des «rebelles». Le graphiste a tenu compte des zones désertiques et il a introduit la notion de «zone contestée», c’est-à-dire disputée entre l’insurrection et la contre-insurrection. Basée sur les données fournies de l’Ong Syria Needs Project (fig. 4) dont s’inspirent de nombreux médias britanniques tel que la BBC, cette carte n’est pas extrêmement précise, ce qui conduit à de nombreuses erreurs de détail6, mais elle donne une vision globale des forces en présence. L’inconvénient majeur de ces différentes cartes est de donner une trop grande importance à l’espace rural. La majorité de la population syrienne réside dans les villes et il faudrait par conséquent accompagner toutes ces cartes à l’échelle de la Syrie de cartes à l’échelle des principales agglomérations, notamment Damas et Alep. Si, en termes de superficie, l’insurrection contrôle la majorité du territoire peuplé, la contre-insurrection contrôle la majorité de la population % de la (...)" id="nh3-7" style="color: rgb(26, 64, 161);">7. Cartographier la crise syrienne, en choisissant ses sources et en cherchant un mode de représentation neutre, est un véritable défi. En juin 2013, Libération a publié une carte intitulée «Insurrection, contre-insurrection et communautés» dont nous sommes l’auteur (fig. 7) Quatre minutes pour comprendre le conflit en Syrie»" id="nh3-8" style="color: rgb(26, 64, 161);">8. Résultat de recherches personnelles, cette carte n’est pas une synthèse de différentes cartes déjà parues. Elle repose sur un système d’information géographique dans lequel sont recensées les informations statistiques de six mille localités syriennes (avec, pour les plus importantes — un millier — leur caractère ethnico-confessionnel). Naturellement, il ne s’agit pas de faire un amalgame caricatural entre l’identité ethnico-confessionnelle et l’appartenance, ou non, à l’insurrection, mais il reste que c’est un facteur d’explication, comme le souligne la carte. Des spécialistes de la question, tel Aron Lund, décrivent les principaux groupes, leur obédience, leur localisation et fournissent une estimation du nombre de combattants. Néanmoins, il est très difficile d’en dresser la carte car les groupes sont nombreux et dispersés. D’après le représentant de l’ONU à Damas, cité par Georges Malbrunot Un rebelle sur deux serait islamiste», Le Figaro, 16 septembre (...)" id="nh3-9" style="color: rgb(26, 64, 161);">9, nous aurions deux mille groupes insurgés, dont seulement six cents compteraient plus de cinquante combattants. Aron Lund évoque, dans un article publié en juin 2013 dans The Independent Freedom fighters? Cannibals? The truth about Syria’s rebels (...)" id="nh3-10" style="color: rgb(26, 64, 161);">10, une douzaine de brigades principales, mais ce sont davantage des fédérations que des brigades constituées avec une organisation hiérarchisée. Le Monde a tenté une «géographie de la rébellion syrienne» pour laquelle j’ai été sollicité (fig. 8). Cette carte avec une légende hiérarchisée apporte beaucoup d’explications, mais elle pêche par l’importance donnée aux zones tenues par l’insurrection. La zone gouvernementale semble limitée au réduit alaouite et aux environs de Soueida (le djebel druze). J’avais fait part de ce problème mais il n’a pas été résolu. La «radiographie de la rébellion syrienne» (fig. 9) publiée dans le quotidien suisse Le Temps Une nébuleuse traversée par les fractures idéologiques», 30 (...)" id="nh3-11" style="color: rgb(26, 64, 161);">11 me paraît beaucoup plus en phase avec la réalité : elle superpose, par des trames, les différentes zones : rebelle, kurde, gouvernementale et inhabitée. Les principaux groupes rebelles sont représentés par des symboles dans leurs fiefs respectifs en fonction de leur importance numérique. Le caractère révolutionnaire de la crise syrienne ne résiste pas aux cartes. Dans une guerre conventionnelle, il est aisé de représenter des fronts, des armées, des territoires occupés, mais la chose est plus complexe dans le cas d’une guerre civile. Le simple fait de cartographier remet en cause une certaine vision de la crise syrienne, celle qui la considère comme une révolution et non une guerre civile. En effet, la superposition de la représentation des territoires tenus pas l’insurrection et la contre-insurrection avec celle de la répartition ethnico-confessionnelle de la population fait apparaître nettement la dimension communautaire du conflit. À l’échelle de l’agglomération d’Alep, superposer la carte des combats (fig. 10) à celle des quartiers informels d’une part, peuplés essentiellement de migrants ruraux, et, de l’autre, de ceux qu’habitent les citadins d’origine (fig. 11) met en évidence une autre dimension du conflit : l’opposition ville-campagne. Certains idéologues dans les rangs de l’insurrection ne s’arrêtent pas à de tels «détails» et croient pouvoir manipuler les représentations cartographiques du conflit au prétexte que les données statistiques seraient inexistantes ou peu fiables. Leur démarche rappelle celle du régime syrien qui a précisément négligé les fondamentaux de l’espace et qui n’a pas prêté attention aux déséquilibres territoriaux croissants, jusqu’à se trouver confronté à cette insurrection. Néanmoins, à force de tordre les données spatiales à leur guise et de promettre depuis deux ans et demi la chute imminente de Bachar Al-Assad, l’opposition syrienne et ses soutiens médiatiques en arrivent à saper leur propre crédibilité. Atlas du Proche-Orient arabe, PUPS, 2011. 1«Rébellion», «résistance», «opposition» ou «terrorisme» : comment qualifier le fait d’avoir pris les armes contre l’État en Syrie? Le choix des termes n’est pas innocent, il reflète un parti pris. Comme toujours au Proche-Orient, que cela soit au Liban ou à propos du conflit israélo-palestinien, un chercheur peut rapidement être accusé d’être à la solde de l’un ou l’autre camp au vu des mots qu’il emploie. Pour cette tentative de cartographie des forces en présence dans le conflit syrien, nous emploierons les termes d’«insurrection» et de «contre-insurrection», empruntés au vocabulaire militaire. 2«Radiographie de la rébellion syrienne», Le Temps,1er octobre 2013. 3Un travail effectué à partir des cartes topographiques syriennes dans le cadre de la production d’un Atlas de Syrie à l’Ifpo entre 2003 et 2007. 5Voir Syrian Jihadism, Ubrief, n° 13, 14 septembre 2012. 6La ville d’Idleb est toujours tenue par la contre-insurrection, ainsi que celle de Deraa. Au nord de Lattaquié, le gouvernement contrôle toujours le poste-frontière de Kessab avec la Turquie. 7D’après nos calculs, la contre-insurrection contrôle 50 à 60% de la population, l’insurrection arabe sunnite 15 à 20%, les milices kurdes 5 à 10% et environ 20% de la population serait en zone contestée. Les zones insurgées et disputées sont celles qui ont vu fuir le plus d’habitants; le nombre d’habitants a par conséquent réduit par rapport au début du conflit, tandis que dans la zone gouvernementale il a augmenté. La relative sécurité qui règne dans cette dernière a attiré de nombreux réfugiés. 9«Un rebelle sur deux serait islamiste», Le Figaro, 16 septembre 2013. 10«Freedom fighters? Cannibals? The truth about Syria’s rebels». 11Boris Mabillard, «Une nébuleuse traversée par les fractures idéologiques», 30 septembre 2013. I don't know whether you posted what uou did out of gullible or complete ignorance of how things works in the region ???? Who told you fair elections means that muslims elect everybody for christians, fair is when everybody in the system accepts it is fair. Nation building comes through consent. I Have a Syrian co-worker how comes from Homs, all his family, parents, relatives etc. are still in Syria and hate the nizam to the bones, every time he talks about the nizam he attaches a 10 swear words to the sentence, although they fled Homs and now lives in tartous which is a stronghold of the SAA. i really don't understand their logic. you hate the nizam, why on earth you live in their territory????? Maybe Lebanon needs a Senate. Lower Houses usually represent the people, while Upper Houses represent their diverse groups. What is the safest area in Syria? The occupied Golan? thats not the only reason. It is because they are what they are. Add to it, the foreign support that they got. The Syrian society is a violent society by definition. Just look how they would treat their women. Ofcourse there are exceptions. I am not saying that in order to defend the regime. The regime is brutal and corrupt. The Syrian opposition embraced extremists. They were ok with ISIS cutting of heads. They only turned against them when they started fighting them. This same opposition had no real agenda. They even couldnt agree on a unified leadership. Relocate these same ppl to sweden, and you will have the same result you see in Syria. It is not that Shebeehet el nizam are any better. That's true. I was told the same by a Syrian friend. The coast welcomed many of these opposition fans. Noone is causing them any harm and the loyalists knows them.